Full the cistern of your toilet seat with a shampoo or liquid soap. The victim of your prank when flushes it, will experience foam all over! Duct tape your friends legs while he is asleep. 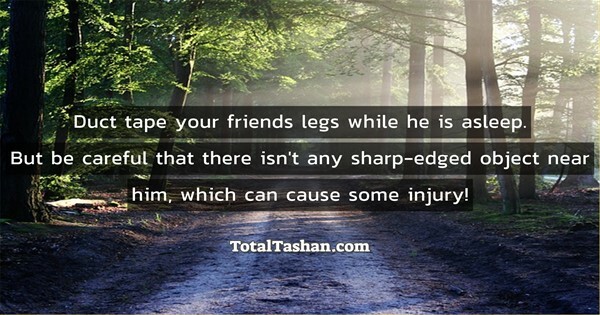 But be careful that there isn't any sharp-edged object near him, which can cause some injury! 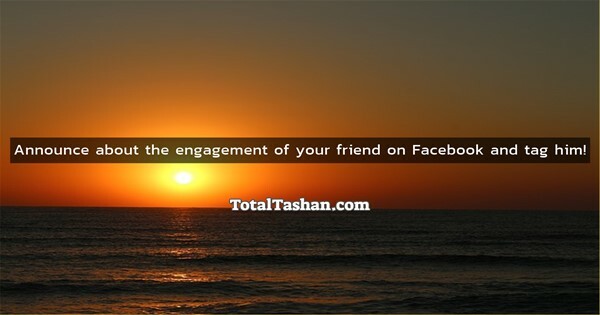 Announce about the engagement of your friend on Facebook and tag him! 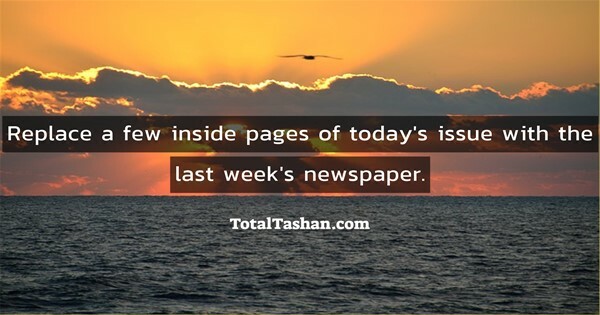 Replace a few inside pages of today's issue with the last week's newspaper. 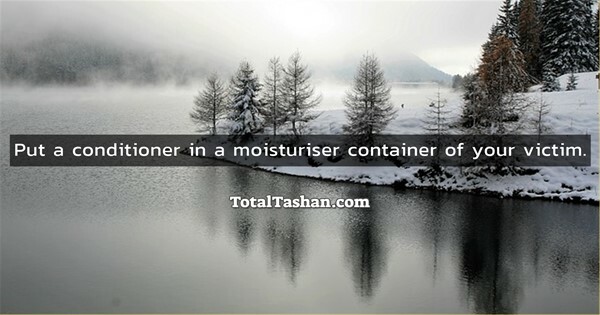 Put a conditioner in a moisturiser container of your victim. 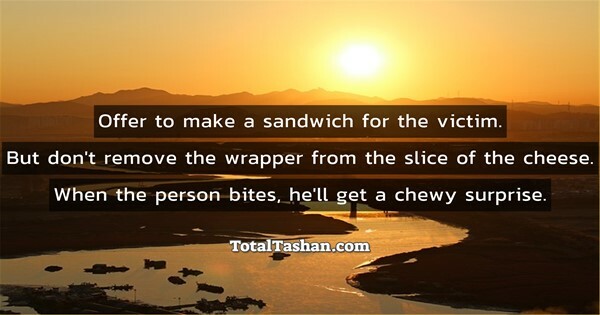 Offer to make a sandwich for the victim. But don't remove the wrapper from the slice of the cheese. When the person bites, he'll get a chewy surprise. 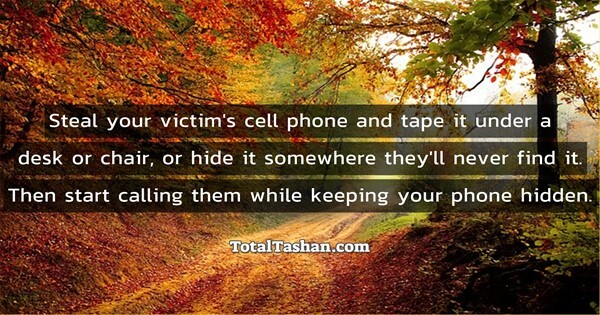 Steal your victim's cell phone and tape it under a desk or chair, or hide it somewhere they'll never find it. Then start calling them while keeping your phone hidden. Use a pin to make a few small holes in a plastic disposable cup. The holes should be near the top, just below the rim. Offer a drink to the victim and watch while the liquid dribbles out onto their shirt when they take a drink. Put a cling wrap or any other clear plastic wrap over the toilet, between the bowl and the seat. Do this at night so it is harder to see. Then when someone goes to the bathroom, SURPRISE! Oh, and a scream! Be prepared to be grounded! 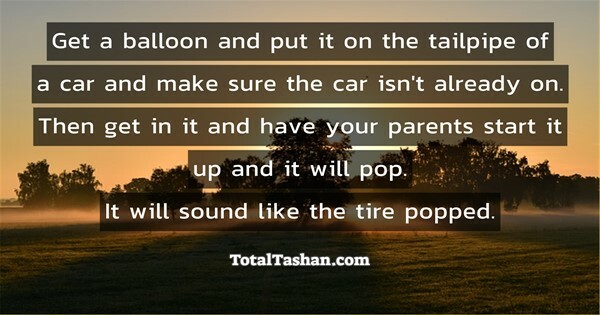 Get a balloon and put it on the tailpipe of a car and make sure the car isn't already on. Then get in it and have your parents start it up and it will pop. It will sound like the tire popped. 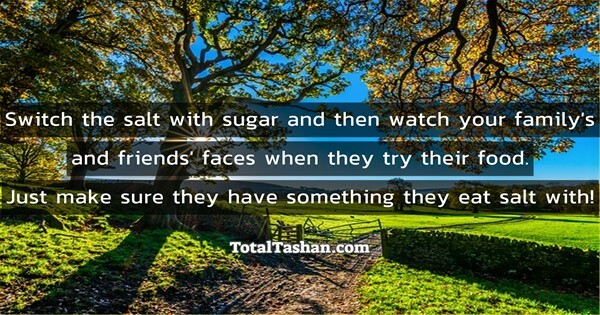 Switch the salt with sugar and then watch your family's and friends' faces when they try their food. Just make sure they have something they eat salt with! Superglue some coins to the sidewalk or any spot that has a lot of people walking around. 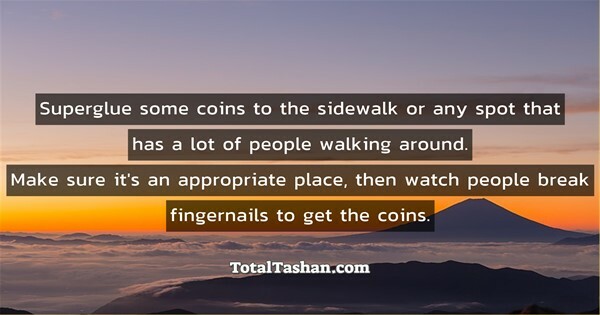 Make sure it's an appropriate place, then watch people break fingernails to get the coins.